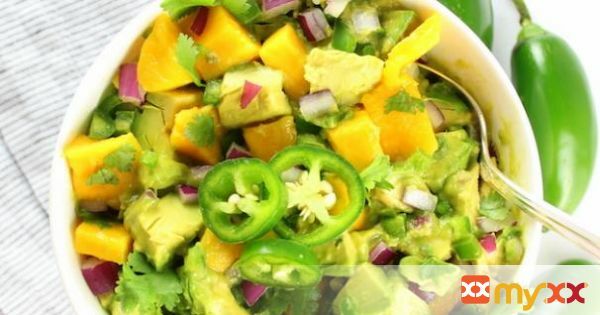 This sweet and savory Mango Guacamole Recipe is the perfect accompaniment for Mexican Night! With creamy avocado, sweet mango, finely chopped red onion, jalapeños, minced garlic, fresh lime juice, and salt and pepper this guacamole will please any palate! 1. Using a medium sized bowl, combine all the ingredients and fold together gently.